The creator of the famous character of psychologist Alex Cross, James Patterson is the accomplished American author of not only thriller novels but also romance and non-fiction works. Patterson spent most of his working life in advertising before establishing a career in writing. With 71 novels in 33 years of which 19 topped the list of New York Times bestsellers, Patterson remains amongst the most widely read authors of these times. 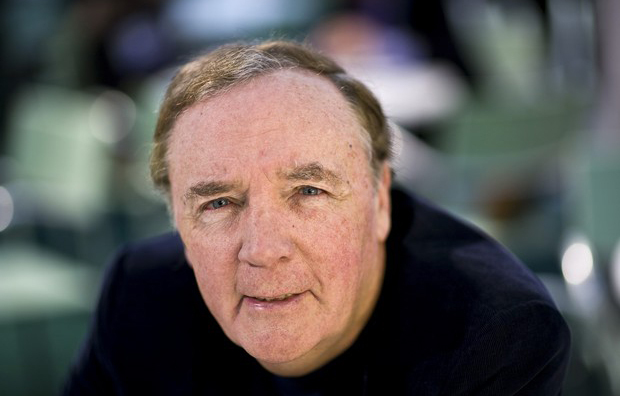 James Patterson was born in Newburgh, New York, on March 22, 1947. Patterson attended the Manhattan College where he obtained a Bachelor’s degree and later earned a Master’s degree from Vanderbilt University. Although Patterson wrote even before becoming a dedicated writer, he became a full time writer after retiring from the advertising business in 1985. His first book, The Thomas Berryman Number was published in 1976. Patterson introduced FBI Agent and forensic psychologist Alex Cross for the first time in his bestselling novel Along Came a Spider published in 1993. Some more famous titles from the Alex Cross series include Kiss The Girls (1995), Pop Goes the Weasel (1999), Violets are Blue (2001), Mary, Mary (2005), and Cross (2006). In addition to being immensely popular, this series has also been the top-selling investigative series for 10 years. Patterson has often collaborated with other writers and co-authored books with authors such as Maxine Paetro, Andrew Gross, and Peter De Jonge. Having sold more novels than that of Stephen King, John Grisham and Dan Brown combined; James Patterson is the single most selling author of 63 hardcover titles according to The New York Times, holding the same status in The Guinness World Records. In addition to The New York Times, Patterson’s books have also appeared on the NovelTracker’s top-ten. His literary efforts have been acknowledged by the Edgar Award, the Children’s Choice Book Award, BCA Mystery Guild’s Thriller of the Year and the International Thriller of the Year Award. Despite callous criticism from critics and other authors including horror writer Stephen King who once called Patterson a terrible writer, Patterson’s novels continue to sell like hot cakes and have been adapted to screen many times over the years. Some of the famous Hollywood movies based on James Patterson’s novels include Kiss the Girls (1997) and Along Came a Spider (2001). Noted adaptations to television include Child of Darkness, Child of Light (1991), Miracle on the 17th Green (1999), 1st to Die (2003), Women’s Murder Club (2007) and James Patterson’s Sundays at Tiffany’s (2010). James Patterson has also appeared on television as himself in several episodes of Castle and a show of The Simpsons. A great supporter of developing reading habits in children, Patterson is the founder of James Patterson PageTurner Awards which began in 2005. The foundation has donated more than US$850,000 to various institutions, schools and individuals that create new and creative ways of bringing back the excitement of books and reading. However, these awards were halted in 2008 when Patterson launched ReadKiddoRead.com, another initiative to pursue the cause of reading by helping parents and teachers to choose the best books for their children. James Patterson currently resides in Briarcliff Manor, New York and Palm Beach, Florida, with his wife, Susan, and son, Jack.